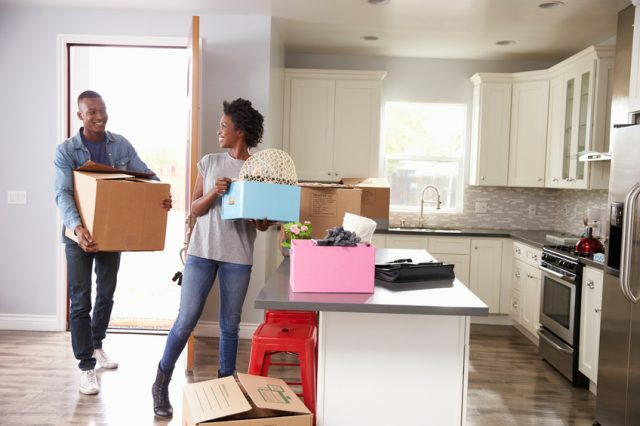 Despite a strengthening housing market and an improving overall economy, a new study shows Americans are deciding not to move as much. Moves across the country have declined to an all-time low this year, with the percentage of Americans migrating within the country falling to 11.2 percent. The most moves, according to the U.S. Census Bureau's “Geographic Mobility: 2015 to 2016,” came from minority demographics. The African-American population made up 13.8 percent of those relocating, and the Asian population brought in another 13.4 percent. The Hispanic/Latino population comprised 12.6 percent of all moves, according to the report. The white population comprised only 10.3 percent of those packing their boxes. The non-Hispanic white population brought up the rear with 9.8 percent. The majority of those who moved (42.2 percent) did so for a “housing-related reason,” such as the desire to snag a “better” spot. As employment strengthens, more people are able to sock away a little savings or afford higher monthly mortgage. The South is a happening place. While the most outbound moves (901,000) occurred in the South, those residents were replaced with even higher inbound moves (940,000), according to the report. Moves between Florida and New York and California and Texas occurred at a marked rate: New York had 69,289 residents migrate to Florida, and California had 65,546 residents migrate to Texas. The most significant migration at the county level took place from Los Angeles County to Orange County and San Bernardino County, Calif., with 39,865 moves as residents of La La land hightail it out of the city.